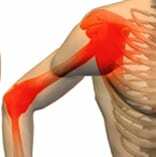 5 Common Questions about Prolotherapy - Piedmont Physical Medicine & Rehabilitation, P.A. 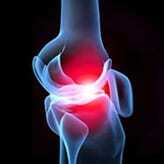 Do you suffer from the pain of arthritis, sports injuries or any other musculoskeletal problem? Prolotherapy could be the ultimate solution for you. It can help with injuries and illness in muscle, tendon, ligament and joints. Here are five common questions to ask about Prolotherapy. Prolotherapy has been referred to as non-surgical regenerative medicine for ligaments but does much more than that. The word Prolotherapy comes from “proliferate” or grow. With Prolotherapy natural compounds are injected into tissue such as ligament, tendon, muscle or joints with the intent of regrowing, or repairing the injured body part. In general, when properly applied, most prolotherapy injections do not have to be painful. At Piedmont Physical Medicine and Rehabilitation, PA we employ Diagnostic Musculoskeletal Ultrasound to isolate exactly what needs to be injected (so we don’t have to over treat) and we use very thin needles so that there is often little of no pain associated with the procedure. Prolotherapy is a safe, effective and minimally invasive procedure that helps pull you own body’s natural growth response to an area. Your body does the rest. No medical procedure is without risk but Prolotherapy has a long track record and when properly administered an equally long safety record. Does Prolotherapy affect other medical conditions? Prolotherapy does not cause over healing. It also does not adversely affect other medical conditions. Because it does involve an injection it should only be performed however by a licensed medical doctor skilled and experienced in its use. What are the most common tissues treated with Prolotherapy? Without a doubt the two most common tissues treated with Prolotherapy include Ligament and Tendon. Ligaments connect bone to bone and tendons connect muscle to bone. Since Prolotherapy helps to stimulate growth to these two tissues it stands to reason that ligament, tendon, muscle and joint injures are all prime prolotherapy candidates.